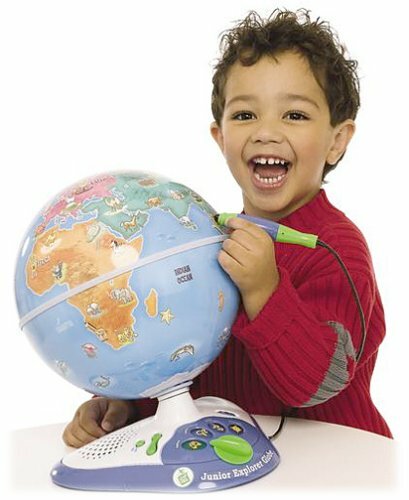 Explore the world with this interactive, talking globe that teaches animals, music, languages and amazing places. Teaches beginning geography, Animals of the world, Major landmarks, Compass directions, Music, and Foreign languages. Four learning modes include: Explore, Search the World, Music, and Adventure Rap. In the Explore mode touch the "magic" pen to any picture and hear lots of fun facts, languages and music. In the Search the World mode use the facts you learn as clues to find animals and landmarks on the globe. Touch each picture to hear a unique tune and regional music. Touch a picture to hear an Adventure Rap about an animal or place.